A Scottish hospital is using the Internet of Things (IoT) to monitor and track the whereabouts of its medical beds. In a bid to improve efficiency and maximise safety, NHS Highland’s Caithness General Hospital in Wick is trialling a system developed by Beringar and CENSIS, the Scottish Innovation Centre for Sensor and Imaging Systems, to easily locate beds and quickly access maintenance records as they move around the facility. Medical beds are high-tech pieces of equipment with various mechanical and hydraulic parts, meaning it is vital that hospitals ensure regular maintenance checks are performed to protect patient safety. It is a significant administrative burden to manually keep track of, and locate, specific beds due for routine check-ups, especially as they frequently move around wards, and Caithness General Hospital maintains each of its 68 beds once a month. To enable staff to clearly see where beds are and when they were last examined, Beringar and CENSIS have together developed a state-of-the-art system which uses Bluetooth tags to transfer real-time data via a low-power, wide area Internet of Things (IoT) network called LoRaWAN. The tags can be attached to hospital beds, allowing them to share location and maintenance information with a dashboard monitored by NHS personnel. The trial marks the second rolled out by Beringar for the NHS, after the company recently deployed its technology at Loxford Health Centre in Ilford, Essex, to monitor how rooms were used in the building. 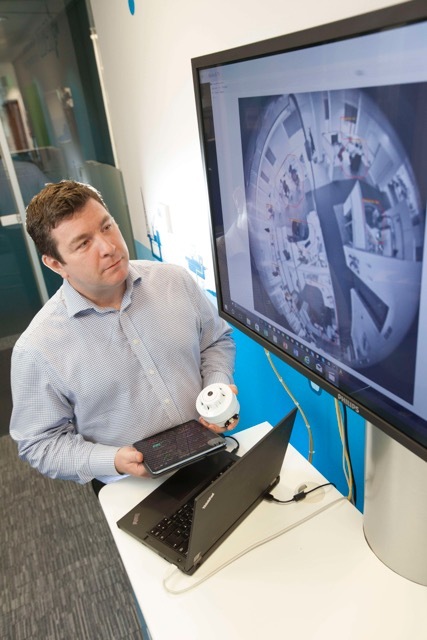 The company was previously named one of the winners at CENSIS’s IoT Explorer, an accelerator programme for businesses looking to develop IoT-related products. The Innovation Centre has since assisted in the development of Beringar’s sensor technology and initially introduced the start-up company to the LoRaWAN network, which its system now relies on. The current trial at Caithness General Hospital is expected to run for six months, with initial data already showing the positive impact it is having on efficiency levels. The technology has the potential to be developed further, enabling hospitals to track other valuable portable objects such as dialysis machines. Eric Green, head of estates at NHS Highland, said: “It’s now more important than ever for the NHS to increase productivity and identify where it can make changes to enhance efficiency. Mark Sorsa-Leslie, director and co-founder of Beringar, added: “The NHS spends an estimated £8billion every year managing just its property estate. Having real-time data on how patients and staff are using its buildings and equipment could be transformative in helping the health service to effectively manage its UK-wide estate and assets. 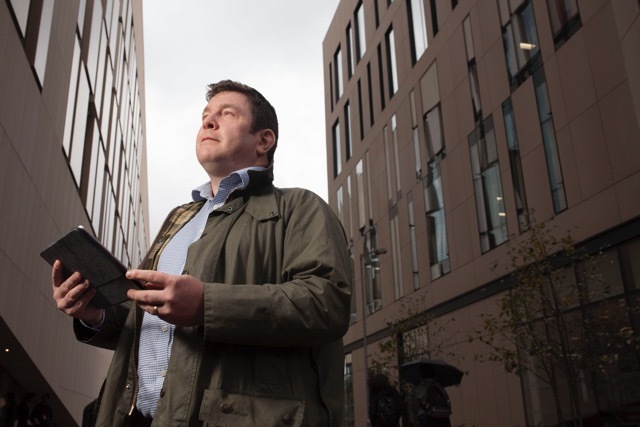 And Dr Stephen Milne, business development manager at CENSIS, told BBH: “The current trial at Caithness General Hospital is a great example of what using low-cost, low-powered, wide area networks such as LoRaWAN can help companies and organisations achieve. “Beringar’s technology is providing the NHS with a suite of information, helping it make strategic decisions to deliver a high-performing estate.